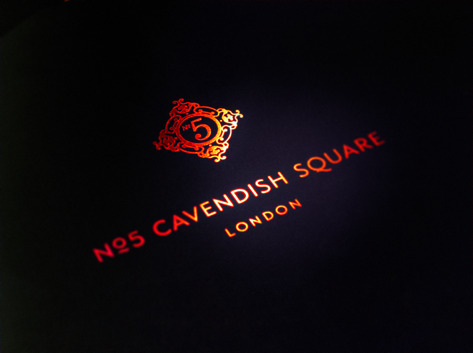 We’ve been working for Nº5 Cavendish Square redesigning their brand and creating, among other things, a promotional folder and brochure inserts. This exclusive address contains a boutique hotel, restaurant, bars, members club and night club housed in a grand Georgian house. 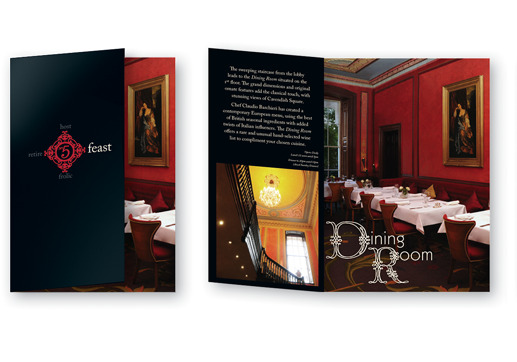 Nº5 originally approached us at the end of 2008 to refresh their identity and design new promotional collateral. 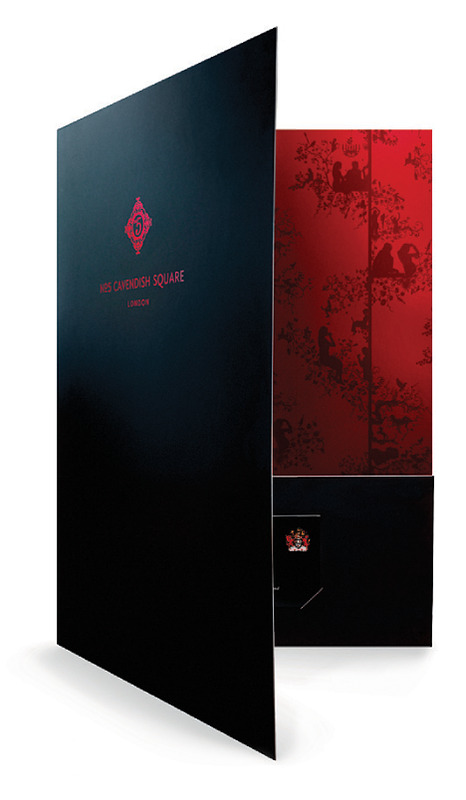 The crest was re-drawn to have more impact and the typography was also reconsidered, creating a more timeless identity. We created a style guide that covered logo usage, typography, colours and other general rules. 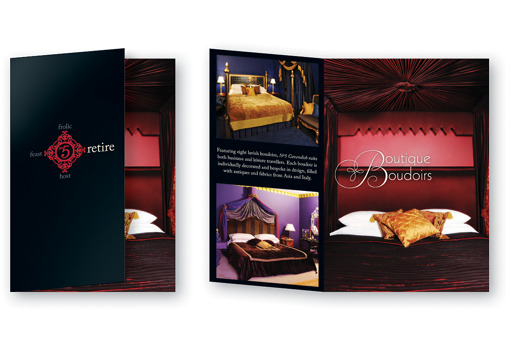 Finally, as well as new business and members’ cards, we created a multi-purpose folder to hold a range of themed inserts. 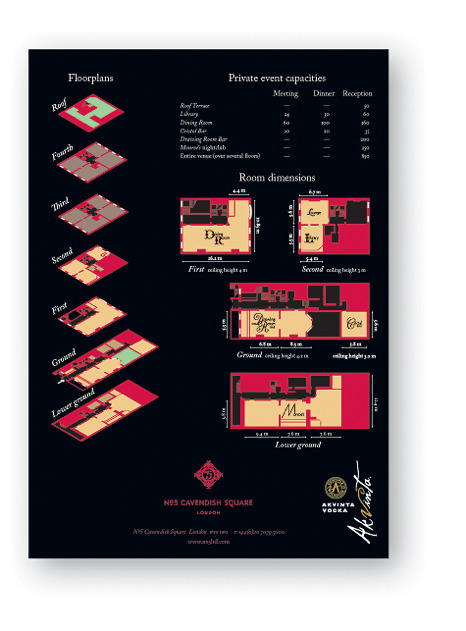 We designed four different inserts covering the different aspects of Nº5; frolic (night life / parties), feast (restaurants), host (meetings) and retire (hotel rooms)—shown here.